Even more fearsome than the cats we know today, saber-toothed cats had long, sharp teeth that stick out of their mouths…scary! A family of cats which were recognised by their elongated teeth in the upper jaw, the most commonly known one being the Saber-Toothed Tiger. Their long teeth were probably used to clamp onto prey to stop them from getting away. Before they went extinct they had been very widespread, having been found on many continents across the world. 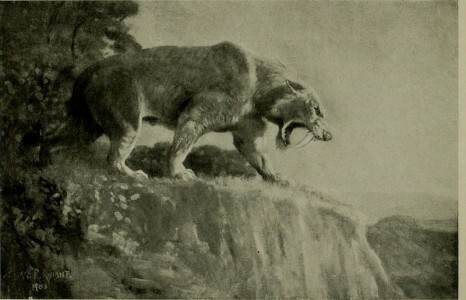 Saber-Toothed Cats went extinct about 10, 000 years ago. Their extinction occurred shortly after one of their prey species, the mastodon, went extinct.